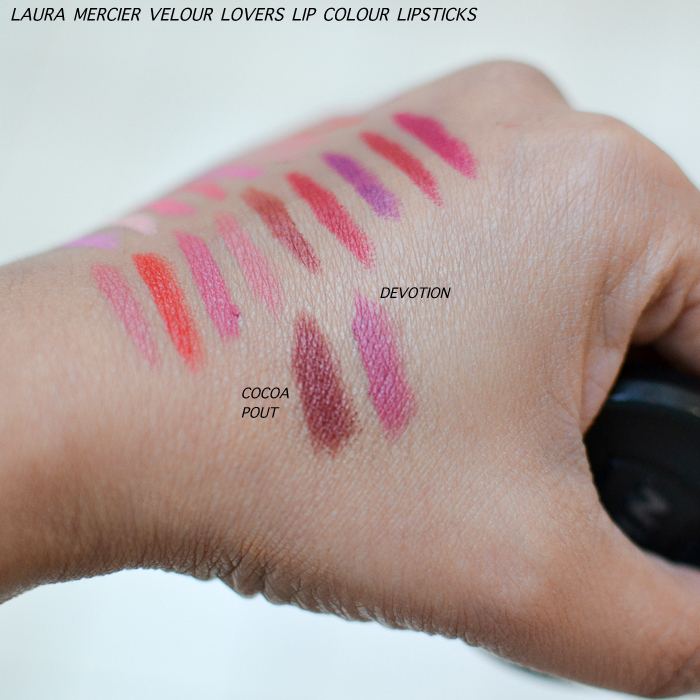 Laura Mercier Velour Lovers Lip Colour lipsticks are a new-ish launch, with lipsticks featuring a semi-matte formula and rich pigmented colors. A blend of waxes and jojoba helps moisturize the lips while the color goes on creamy and smooth. There is a nice mix of colors in this range from softer neutrals to deeper, darker purples and plums, and the soft velvet finish of these lipsticks gives the colors a more modern feel. Scroll on for swatches. Matte and semi-matte lipsticks seem to be quite the trend with a lot of brands coming up with different versions in the category. 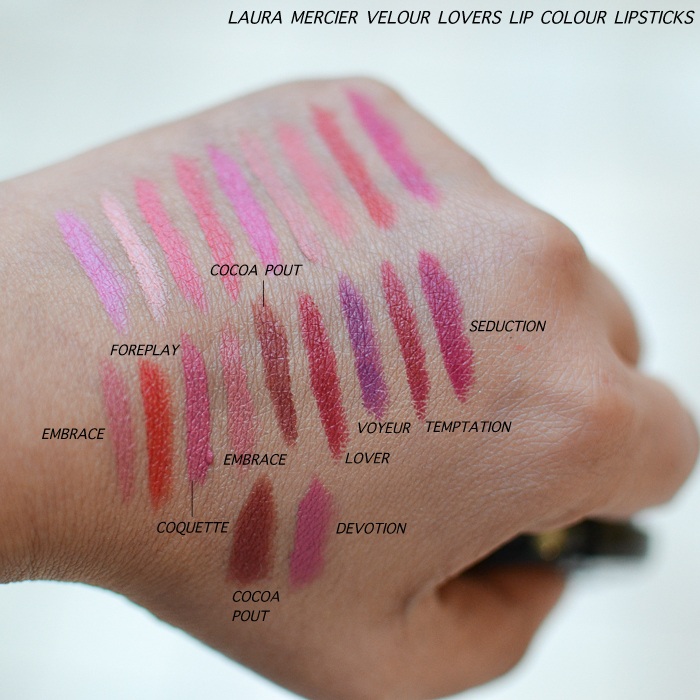 What sets the Laura Mercier Velour Lovers apart - for me - would be the wide range of colors. I am more of a neutral girl, and I definitely appreciate all the soft pinks, corals, and browns that have been added to the mix. Even the darker colors seem softer and easier to wear, perhaps because of the "velour" finish. 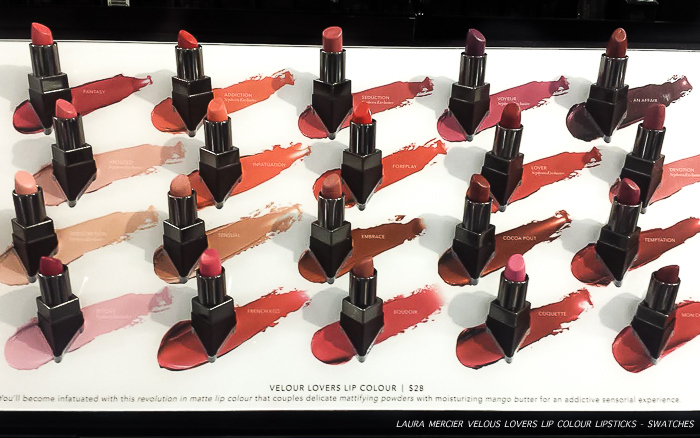 The formula seems similar to that of my favorite Givenchy Le Rouge lipsticks, with a lot more colors to love. Overall, just the sort of lipsticks I would love to have a whole bunch of.